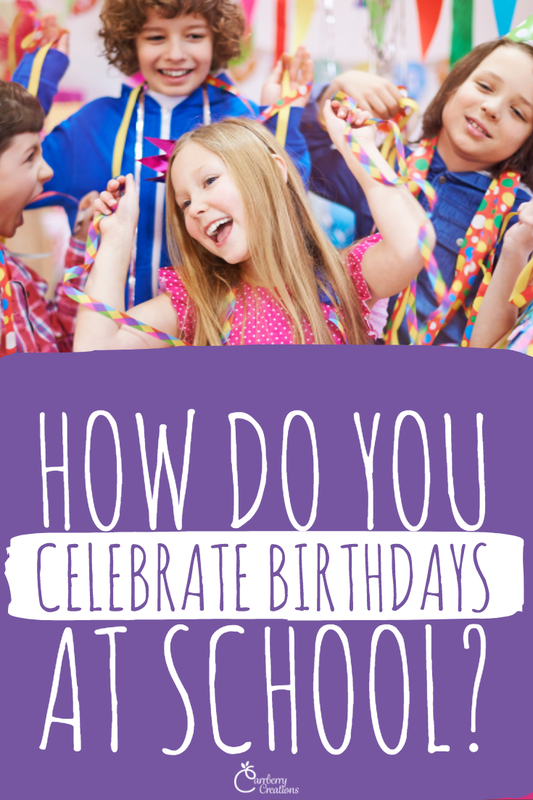 You are here Home » birthdays at school » How Do You Celebrate Birthdays at School? 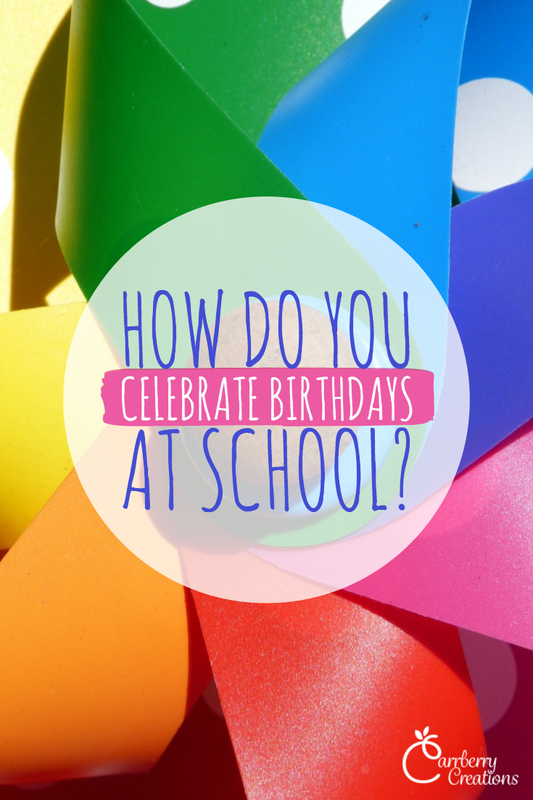 I have been teaching long enough to remember the days when celebrating a child’s birthdays at school involved gigantic cakes, party games, treat bags for students, and huge interruptions to the day. I also remember when it swung all the way to only being allowed to give a no homework certificate at the end of the day. 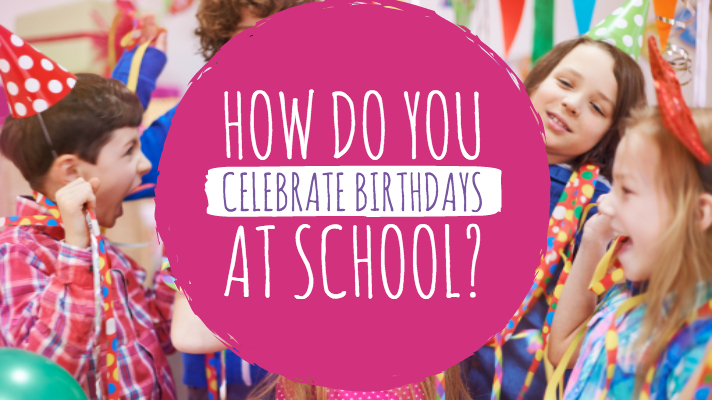 Recently 2 of my children celebrated their birthdays at school. The rules were no cupcakes or candy. We sent in fruit cups which are more expensive than the cupcakes, but at least they were able to bring something in. I honestly think that my kids are more excited to bring a fruit cup to school to celebrate their birthdays than they are about their birthday parties. Which is why I wanted to share with you how I handle these important days in my classroom. I have beside my desk a basket of pinwheels. 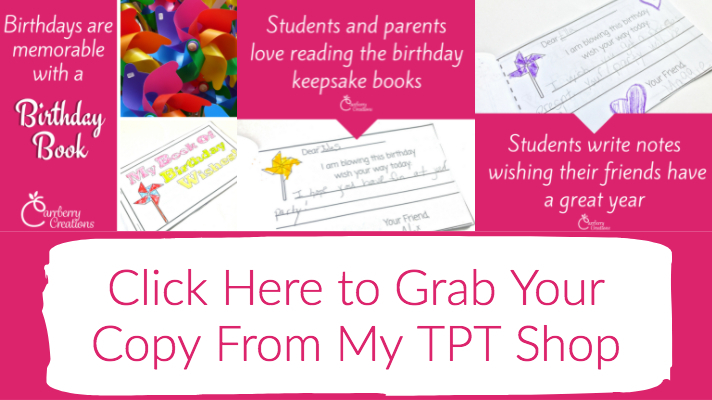 Each pinwheel has a tag with a student’s name and their birthday written on it. Thanks for the great idea, Mary! We always get in a circle and say what we love about the birthday child. I think we should step it up & make books! I’m excited to start using yours.